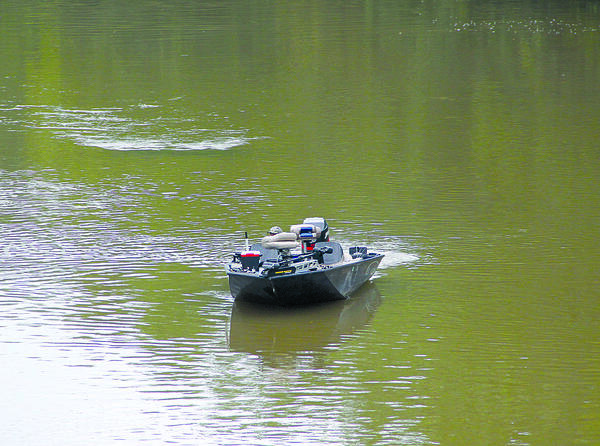 Search and Rescue boats began dragging the river on Saturday morning. Search and Rescue team members at the River Road Park boat ramp. The River Road Park boat ramp on Saturday morning. 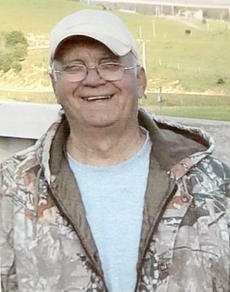 Harold Porter Lamb, 77, from Winchester, went missing when the boat he was in, capsized on Saturday morning, near Terry Dam. Leaders from area first responders units met on Monday morning for a briefing on the status of the search for Harold Porter Lamb. 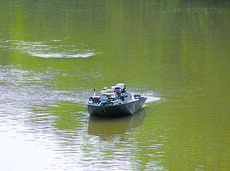 A Winchester man fell from a boat on Saturday morning, Sept. 8, close to Terry Dam, and hasn’t been seen since. Harold Porter Lamb, 77, was fishing with Anthony “Hank” Durham, close to the dam, when problems with the their trolling motor led to catastrophe. The boats had put in at the River Road Park boat ramp in the South Fork of the Licking River, just below the John Hunt Morgan Bridge. Craft said the incident occurred around 7:40 a.m., 40 minutes after a fishing tournament began. She said that another fishing boat was in the area and rescued Durham by throwing him a rope and pulling him to their boat. Harrison County Search and Rescue arrived on the scene and had its first boat in the water by 8 a.m, but was unable to locate Mr. Lamb. At about 11 a.m., the search was suspended due to heavy storms. 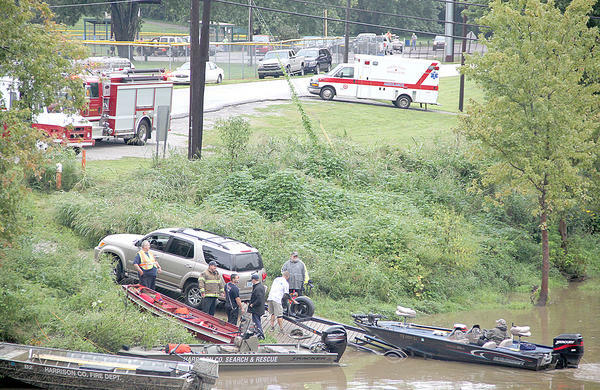 By 1:53 p.m., the search was suspended for good, with rising water in the river and more storms. “It just became too dangerous for us to continue the search,” Craft explained. Craft said the search would not be able to resume until Thursday at the earliest, providing there is no more rain between now and then. 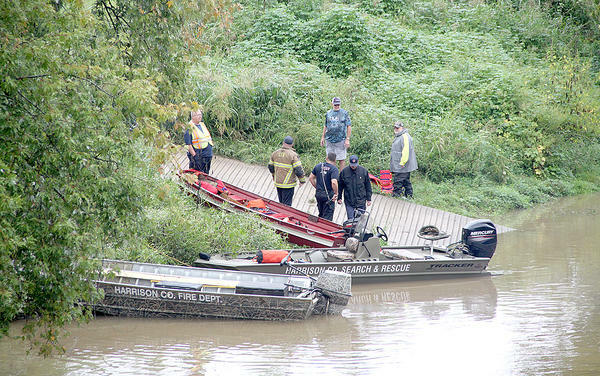 Jason Perry, also from HCSAR, said the water level was at about seven and half feet when the search began on Saturday, but had risen significantly above that level by the time the search was called off on Saturday afternoon. If the water recedes to the seven-foot level, Craft said cadaver dogs would be brought in to search brushy areas along the river between Terry Dam and A. Keller Dam. “We won’t be able to get back to the two dams until probably Thursday some time,” she said. In the meantime, Sgt. Nathan Linville of the Cynthiana Police Department will use his drone to search the river between the two dams. Linville said the drone is capable of magnifying images several times. He said the range of the drone is three miles. Also assisting with the search effort were representatives from both the Pendleton County and Nicholas County Search and Rescue teams, along with Harrison County, Paris and Scott County Fire Departments and the Cynthiana Police and Fire Deparments. “I would like to thank the folks at the Cynthiana McDonald’s and Hardee’s restaurants for providing food for our people, and also the good people at Speedway for supplying us with coffee,” Craft said. Craft said the Pendleton County Search and Rescue team is monitoring the river, downstream toward Falmouth. “We hope to be able to recover Mr. Lamb’s body before the next round of rain that is supposed to come in this weekend,” Craft said. 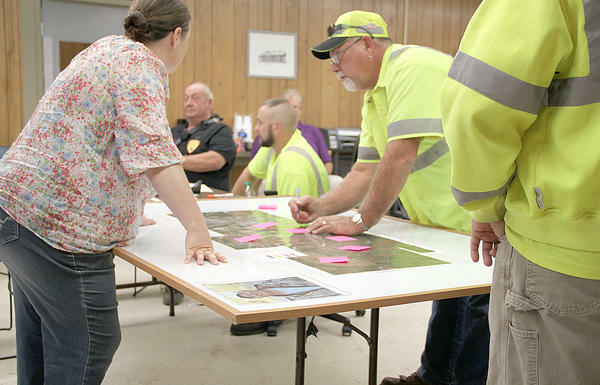 At Monday’s meeting, Craft told the leaders of the first responder teams that the safety of search teams was of paramount importance.